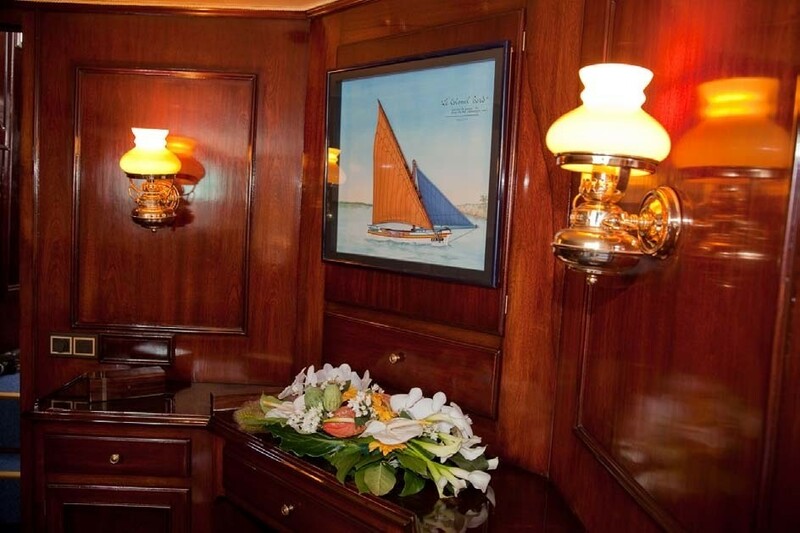 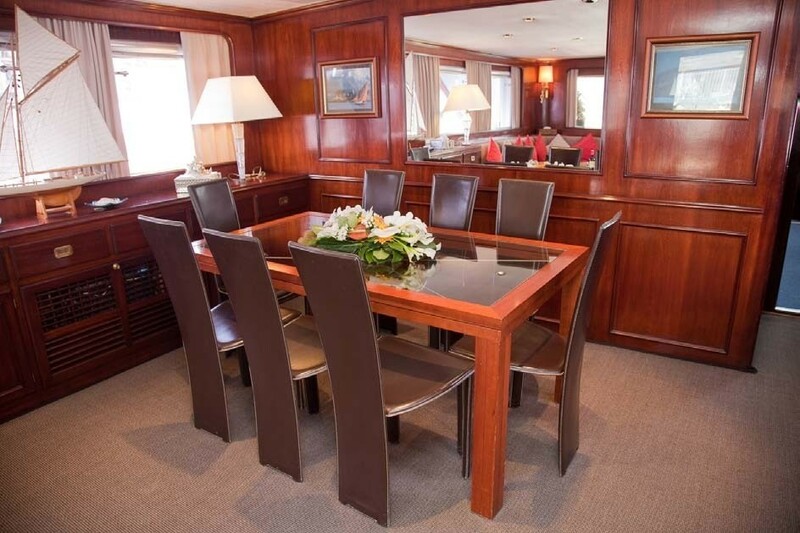 M/Y LADY ROXANNE features a refined interior with mahogany wood panelling that creates a soft yet opulent and relaxing atmosphere. 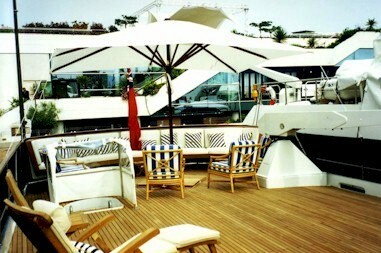 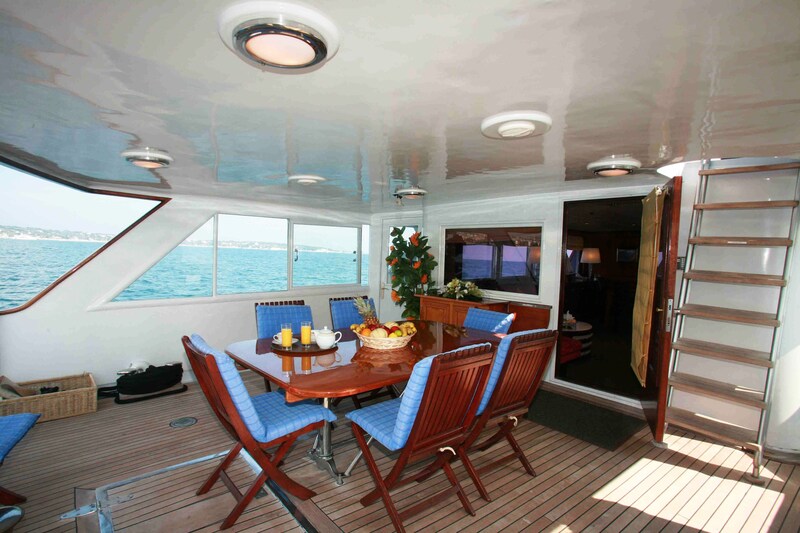 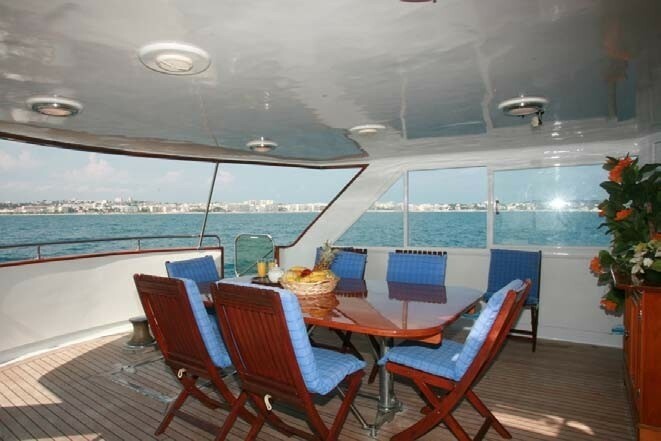 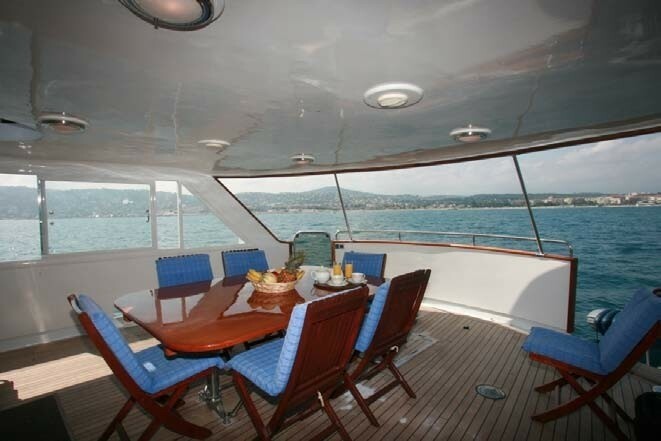 The yachts sundeck offers a wide deck , ideal for sunbathing, lounging or events. 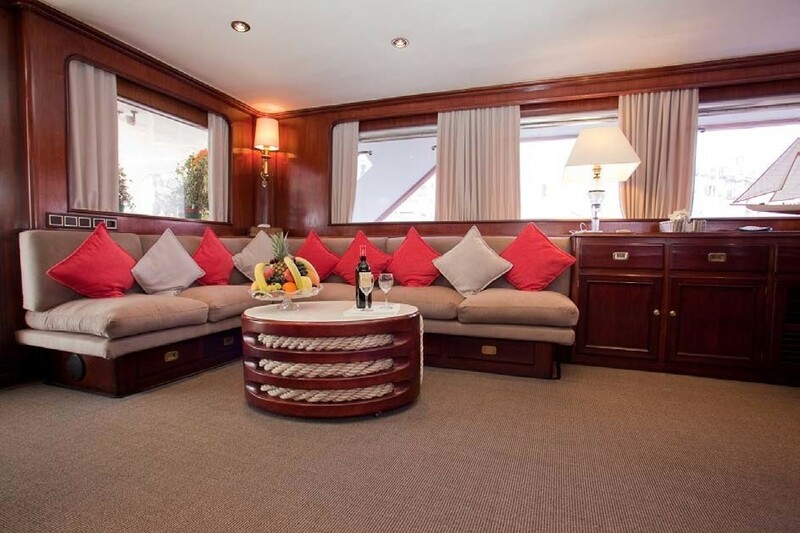 There is an additional sunbathing area forward as well as a spacious aft deck with a table for al fresco dining. 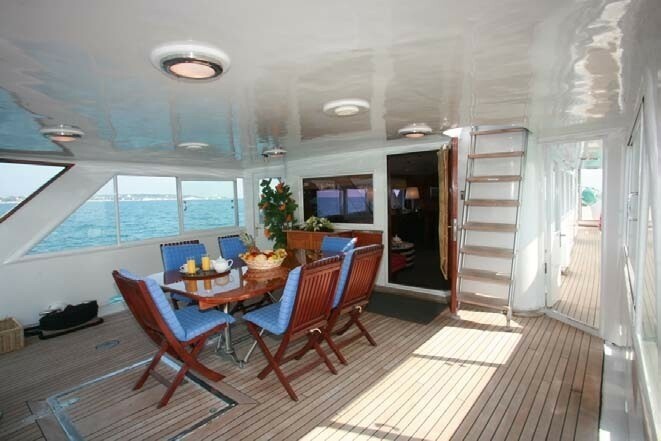 A large swim-platform aft facilitates easy access to water sports and swimming. 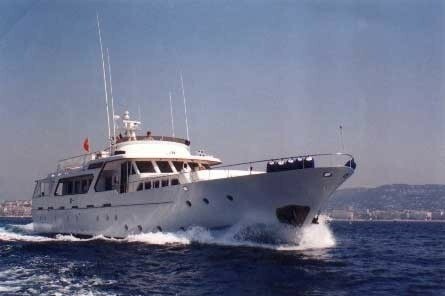 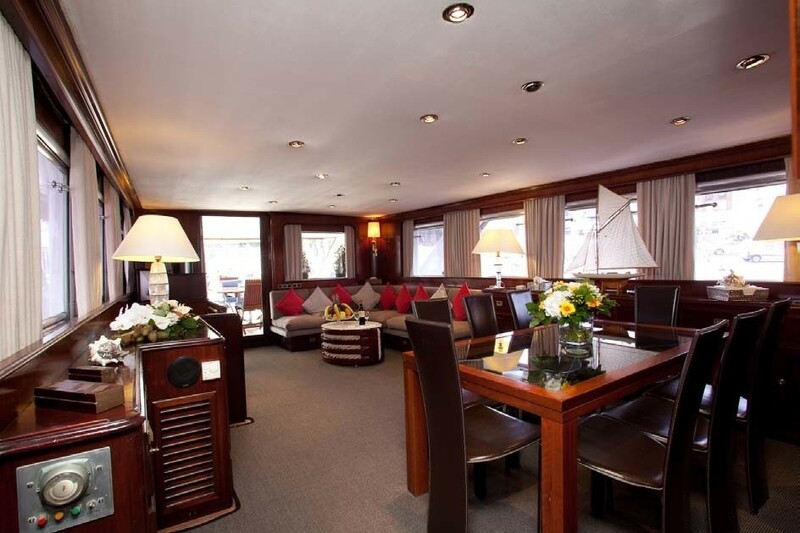 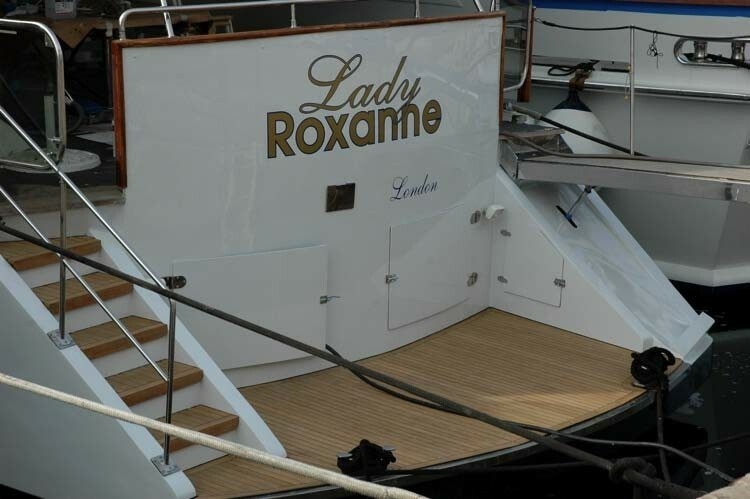 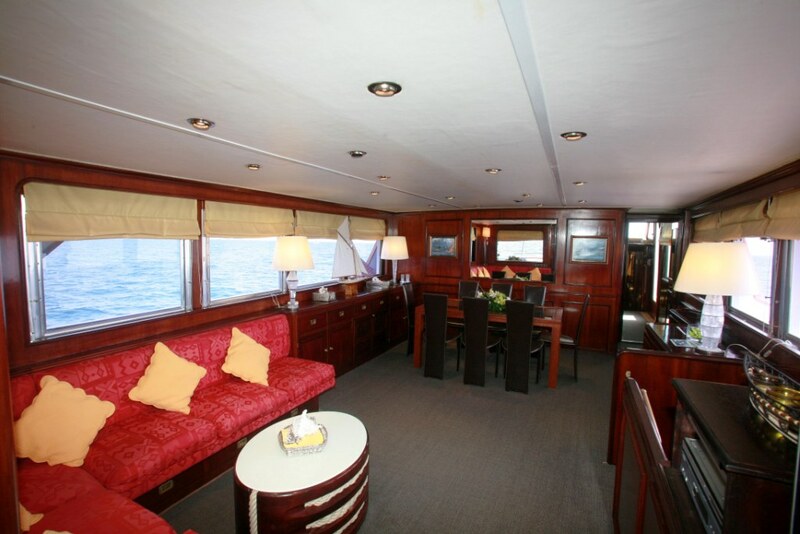 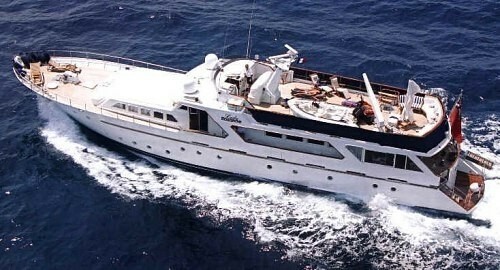 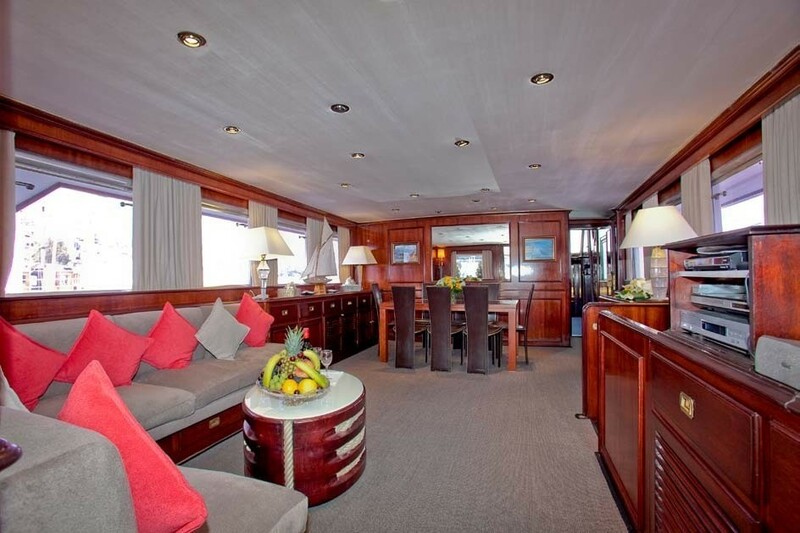 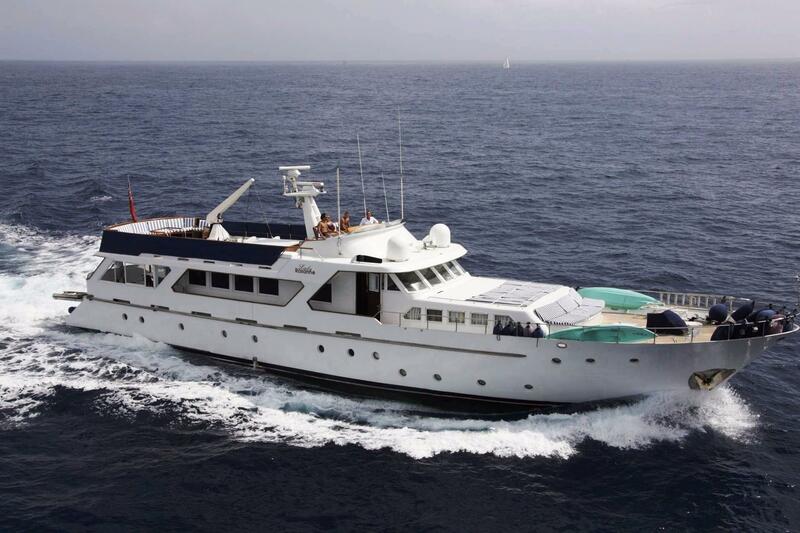 Luxury motor yacht LADY ROXANNE can accommodate up to 10 guests in 5 cabins. 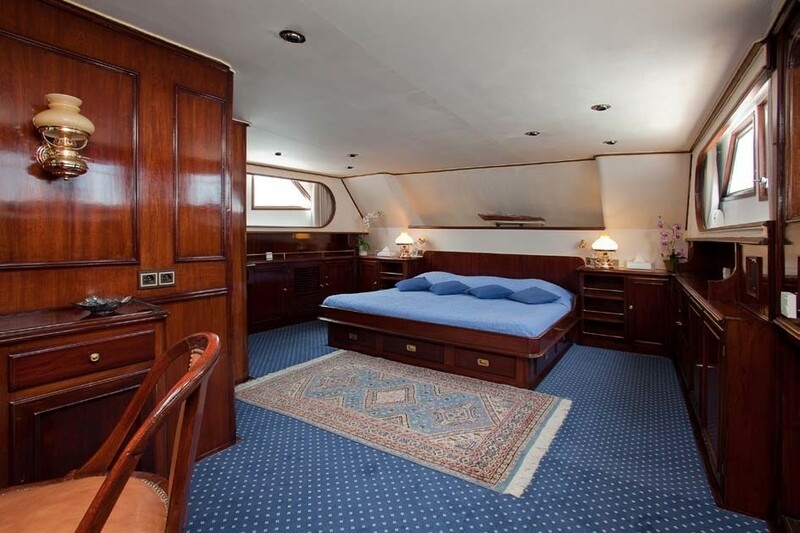 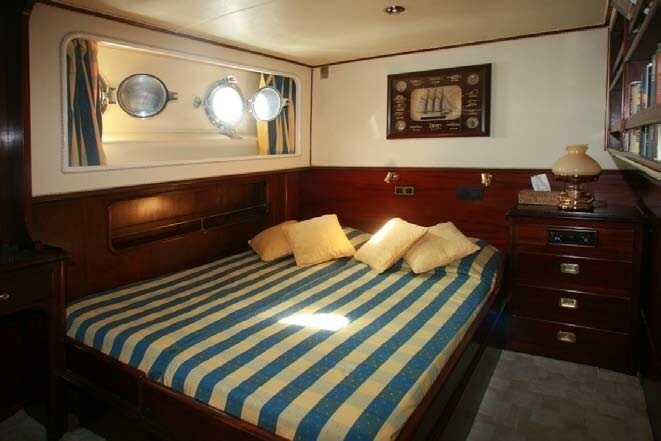 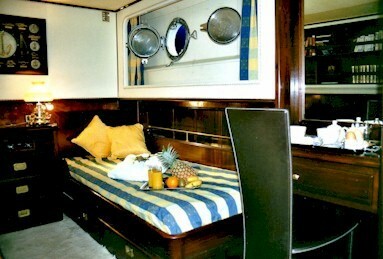 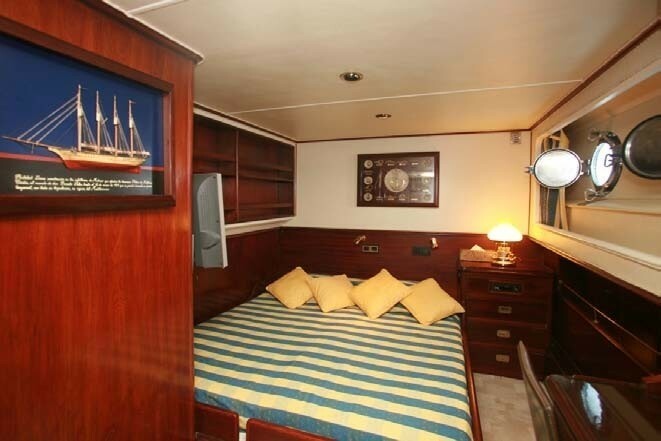 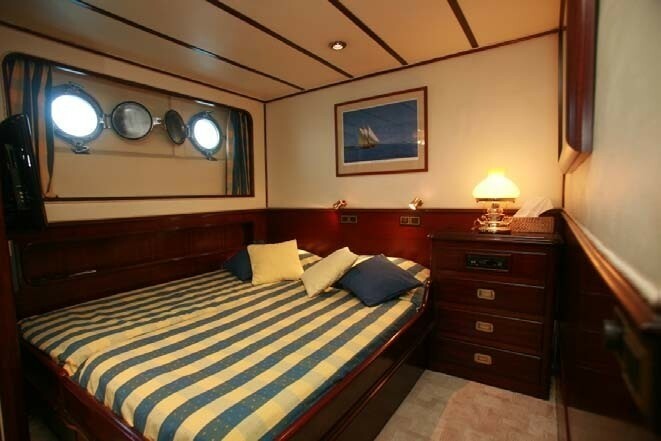 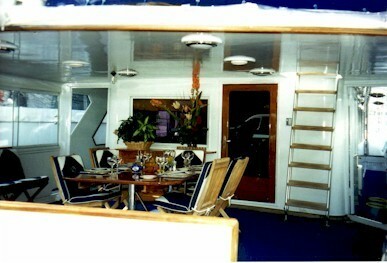 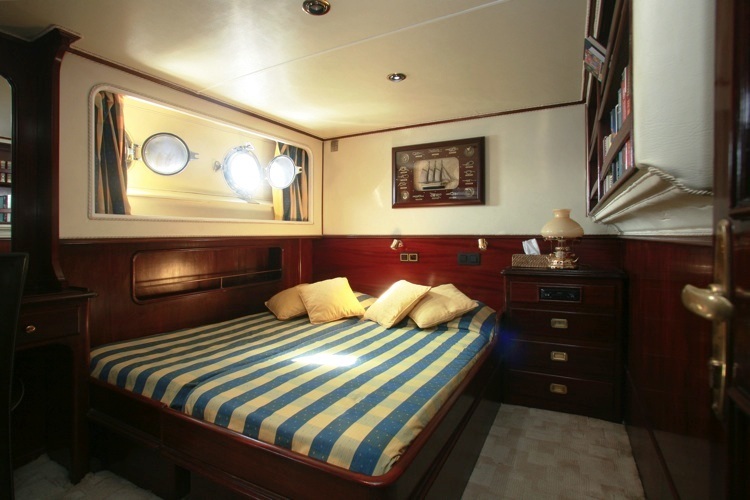 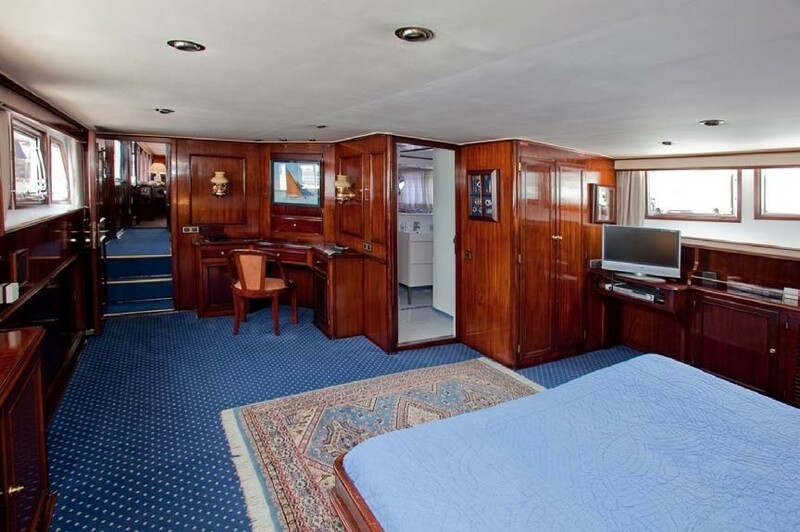 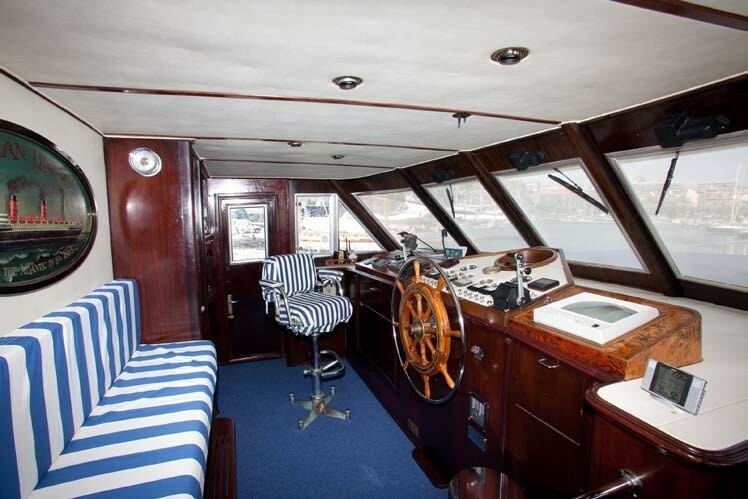 Her master cabin is located on the upper deck and features a king size bed. 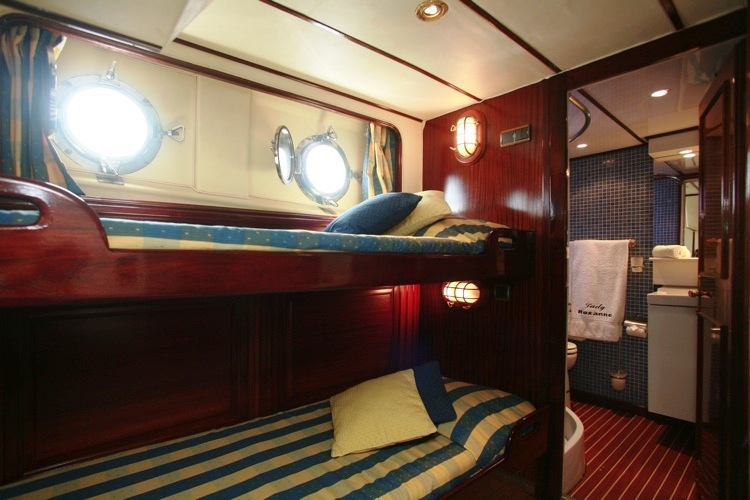 She has 3 twin cabins that are convertible to a double bed configuration and a twin bunk bedded bed cabin. 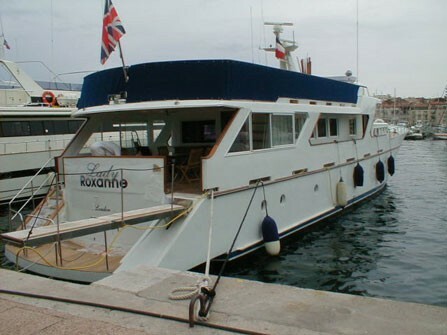 Motor yacht LADY ROXANNE has a good range of extras onboard including a Nova marine 4.30 Meters 50HP, a Jet Ski 850 CC Convertible 2005, 2 Kayaks, Ski, Wakeboard, Snorkelling gear. 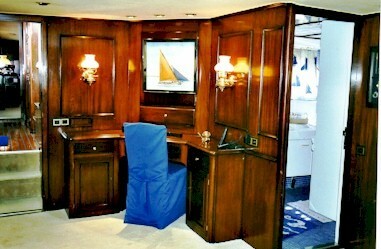 Communications include Cellular phone, VHF, Laptop, internet. 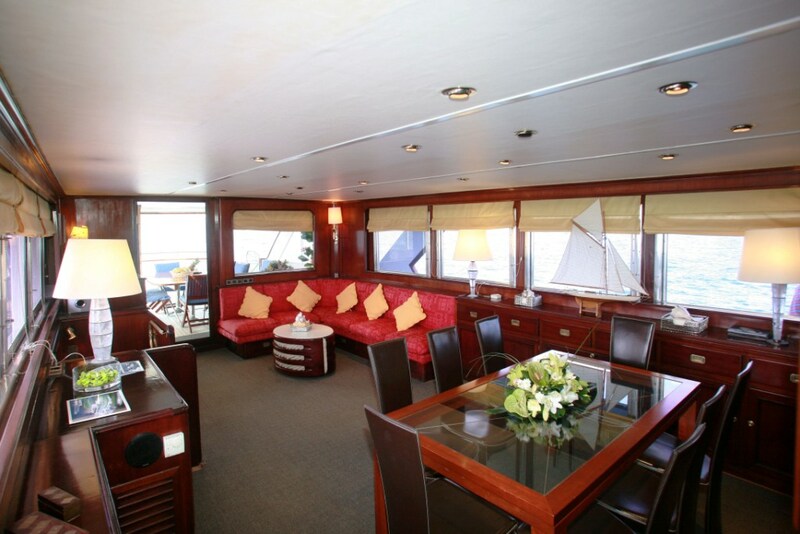 Audio Visual Equipment and Deck Facilities include a TV flat screen, audio in all cabins, Wilde TV LCD and audio in saloon, Audio on the flying bridge.